There are very few DJs now a days that are as well rounded and experienced as DJ Nuñez. With a decade of DJing under his belt, there isn’t much that DJ Nuñez hasn’t seen. 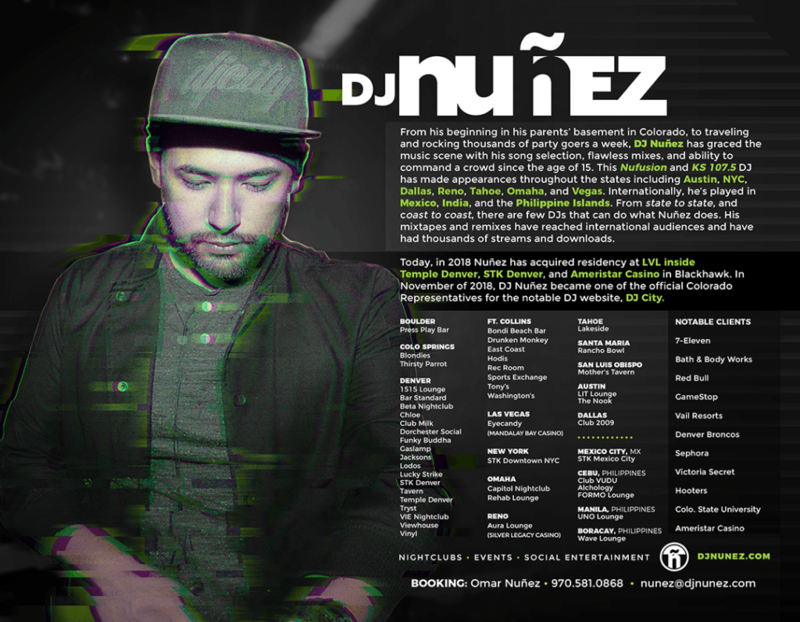 Just take a look at the DJ Nuñez Press Kit and see for yourself. It was hard to fit everything that Nuñez has done in one page, but that is just a glimpse of the man behind the tables. Click to download DJ Nuñez’s media kit; contains photos, logos, and info. While you’re at it, don’t forget to LIKE him on FACEBOOK.